Easily add lasting value and function to your home with this attractive affordable DIY fireplace kit. This kit has been designed from the ground up to look fabulous, perform great, and be affordable. Also, I have made it expandable and customizable with simple add-ons to make it fit your needs. My plans are thorough and easy to follow. My customers are excited about how easy it is to build and how impressive the kit is. You can read their testimonials here. As with all our growing line of other outdoor kits, you can combine them to make a fantastic outdoor getaway - or neighborhood party palace - in your own backyard! If you have any questions, contact me. My Fremont fireplace kit is designed to be quickly installed. All the pieces you need are included. There is no cutting required. Simply stack and glue the pieces together as shown in the step by step instructions. Granted, outdoor fireplaces are a luxury item. But I think it's a luxury item everyone should be able to afford. By using my pre-engineered kit, you can quickly build (or have built) an outdoor living space and save money. Not every backyard and patio is the same. People and their needs differ. That is why I offer expansion kits and add-ons to make our fireplace work for you - in your unique space the way you want. Top cap keeps the elements out of your firebox. Fire brick lined firebox adds durability. Smoke chamber provides proper draft. The Fremont fireplace kit now comes with options you can buy to modify it to your liking. 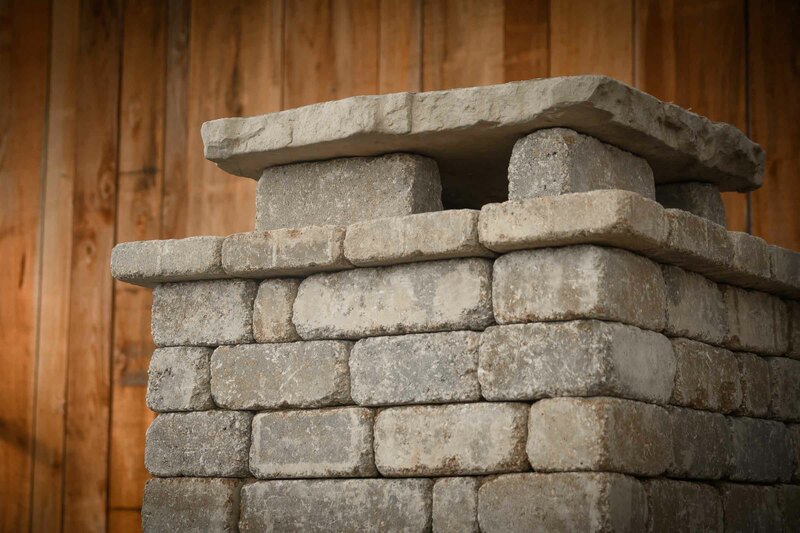 You can increase the chimney height, raise the hearth, add natural gas logs, and add wood storage boxes. Feel free to customize and make it your own. ​You don't want to chop wood. You don't want to clean ashes. Add our outdoor rated gas log set and enjoy the ease and convenience of natural gas to your kit. This is by far our most popular option. Add these wood boxes for firewood storage. They are simple to build. They also make a grand statement. Sold by the pair only. Perhaps you want some extra height for your chimney or even your hearth for easier access, or just a better place to sit. Simply add an extension kit to your kit. Please be informed. Download and look through the instructions. They have all the materials included with each kit. They also include all the dimensions as well as every step of the process. Almost every question you have can probably be answered in these files. Blocks are 4" x 8" x 12" nominal. All dimensions approximate. Because all of our kits are quickly built, you can decide to assemble them yourself and save even more money. And if our product isn't right for you, I will let you know. I don't want you angry and disappointed that our kit won't fit your needs after you spend thousands of dollars with us (I'd rather disappoint you for free.) If you need any help or have any questions, contact me.